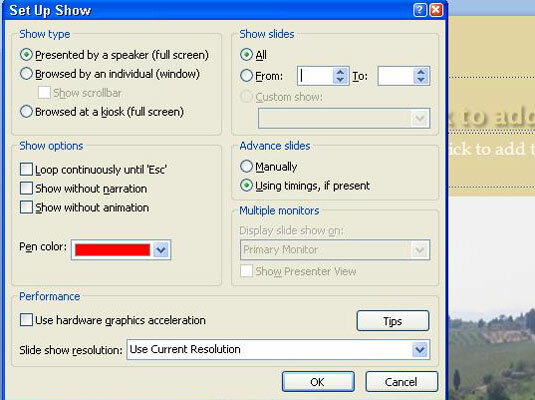 PowerPoint displays a taskbar along the bottom of the window in a user-run presentation. PowerPoint lets you make a scrollbar appear along the right side of the window as well so that people viewing your presentation can scroll from slide to slide. 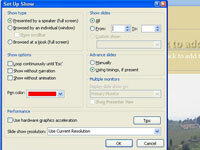 Previous and Next don’t appear in a user-run presentation. 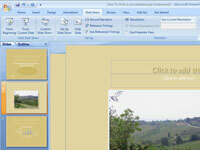 To get from slide to slide, users have to click action buttons and hyperlinks. 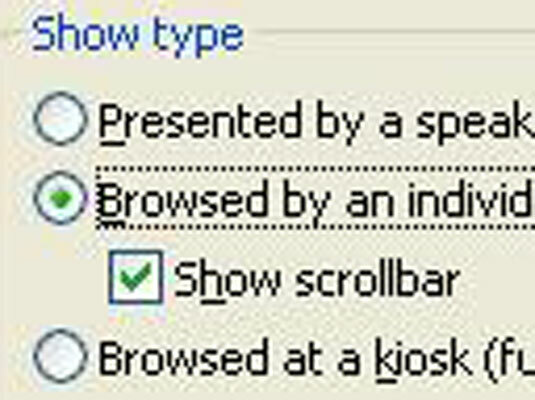 1Select the Slide Show tab. 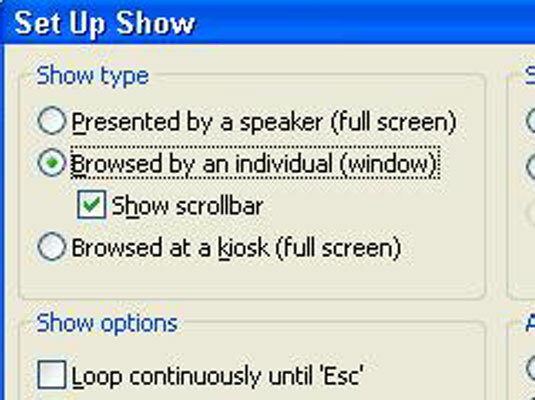 2Click the Set Up Slide Show button. 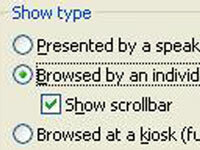 3Select the Browsed by an Individual (Window) option button. This option button is found under Show Type. 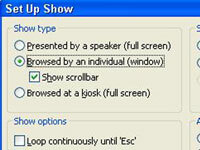 4Optionally, click the Show Scrollbar check box. Your presentation is no longer quite yours. It also belongs to all the people who will view it in your absence.